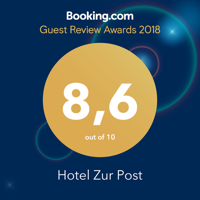 In the heart of Ismaning, north east of the city of Munich, our as a family business runned hotel with 82 rooms, meeting room, underground parking and hotel bar awaits you. In close proximity to the Allianz Arena, trade fair, MOC and the Munich Airport our hotel is centrally located and your ideal starting point to discover the attractions of Munich or to attend a soccer match of the FC Bayern. The hotel lobby is the heart of our hotel. Here you may sit down for a while, read the newspaper while you have a cup of coffee or get wirelessly online with your laptop. The front desk, the hotel bar and a vending machine are located here. No hidden costs. Breakfast, wireless internet access and parking is already included! Just have a short break from everyday stress and be pampered by our employees. Here you will find a wide range of beers, wines, brandy, liqueurs, aperitifs and of course non-alcoholic drinks. We also serve hot drinks such as espresso, capuccino or tea. Experience the sporting offer of SKY at our hotel bar and in our hotel lobby. On our large 60″ flat screen TV you can see all the games of the Bundesliga, the UEFA Champions League and the DFB Cup in HD! In our spacious breakfast room you will find a rich and large breakfast buffet with nutrition-conscious food, to strengthen in the early morning for the day.